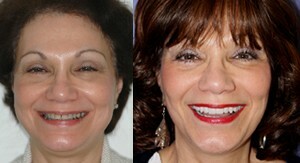 Years ago Dr. Alex made the commitment to develop a practice based on providing high quality comprehensive dentistry. The practice is strictly referral based and not dependent on external marketing for patients. The focus is, and always will be, on excellence. Dr. Alex is one of only approximately 350 dentists worldwide to be accredited by the The American Academy of Cosmetic Dentistry and was the first AACD accredited dentist in cosmetic dentistry on Long Island. As of January 2015 there were only 10 accredited dentists in the entire state of New York. An Accredited Member of the American Academy of Cosmetic Dentistry has completed extensive advanced training and education in cosmetic dentistry. In addition, this credentialed dentist or technician has successfully passed a rigorous Accreditation Board Examination. An Accredited Member is a dentist or technician who has demonstrated a very high level of technical skill and ability in cosmetic dentistry. 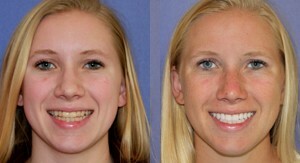 ALL of the before & after pictures on this web site are cases done by Dr. Alex. Please be assured our goal is to provide you the absolute best dentistry has to offer and we hope this site is helpful to you in learning more about our practice. Thank you for your confidence and do not hesitate to contact the office with any concerns, questions, or comments you might have (631-421-4408). Meet Dr Alex | Meet our Staff | Registration forms for New Patients.